Joanna Malefaki has created an amazing blog challenge, where teachers write to their younger selves, called the #YoungerTeacherSelf blog challenge. What a great idea and what lovely posts we have read so far! I had to start teaching almost as soon as I got into university, for the reason that I was studying far away from my family and they could not fully afford my studies. Therefore, I had to dive right into it, but I was fortunate enough to have great professors and colleagues to help me out in this difficult, but incredible journey. Here is my letter to 18-year-old Vicky and a few years after that, when I was a scared teacher, afraid of many things and mainly how it was going to be. I know that your whole life you had been dreaming of becoming a lawyer, and that education was your second choice. I assure you that this is a choice you will never look back on – you will absolutely love it and you will be happy you accidentally got into it! You will have lots and lots of students and you will learn so much from them and from teaching them. They will come to you with dreams, enthusiasm or lack of it, a great variety of talents and each and every one of them will leave their mark on you. Mistakes are part of the deal, but don’t worry, you will always make them. You want to learn and become better, don’t you? These mistakes are there to remind you of this. Some day, you will be connected to so many educators, not only face-to-face, but also through the internet. Especially through social media. What is all that social media stuff, you ask? You don’t believe me? Wait and see! You are excited about emails so far, but just wait until you see what other things you will be using in a decade or two! And you will learn so much from and with these educators, who come from all over the world. It is absolutely fine to deviate from the coursebook. Do you think that task on page 76 is not appropriate or does not help your students? Skip it! Change it! Weave it into something else and don’t worry. Not all students learn the same way and not all tasks work out as they are designed. You want the best for your students, right? Be happy you did not take that professor’s advice, who told you in your second year not to become close to the students at all, because they will only “take advantage of you” and “you are there only to teach them, not help them with their lives in general”. Regardless of their age, students are all human beings with feelings and if we can help even one of them with a problem they may be facing, it is so important. They are not only there for us to teach them the difference between Past Simple and Present Perfect and then shove them out the door. Whatever you do, don’t stop learning. You will never know everything and that is super! You will always be developing and growing as a teacher, through reading, writing, attending conferences, learning sessions. This is something you will tremendously enjoy. Keep going and keep learning! 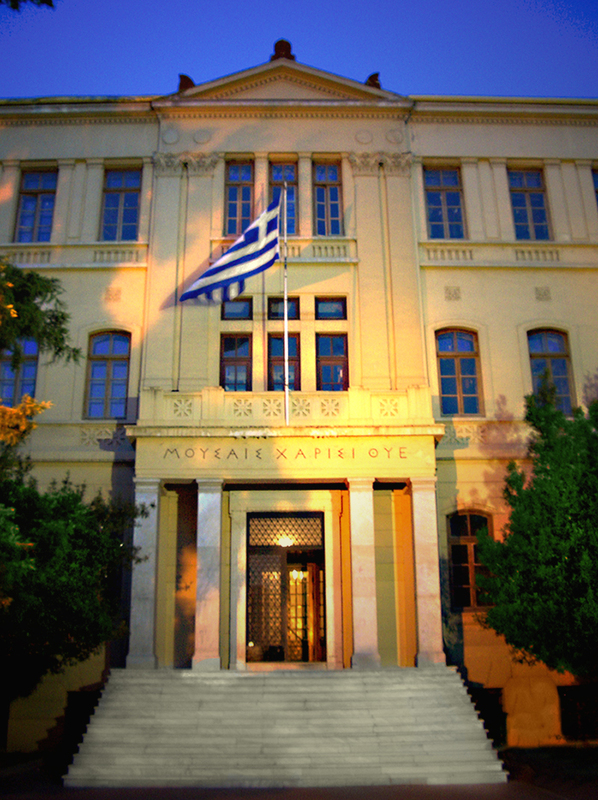 Posted on May 14, 2015 May 14, 2015 by Vicky LorasPosted in blog challenges, learning, life, professional development, special moments, teachingTagged Aristotle University of Thessaloniki, blog challenges, blogging, Greece, Joanna Malefaki, learning, life, professional development, special moments, students, teaching. Lovely post!!! I really like reading these letters and I find myself nodding to a lot of the things written in them. I, too, wanted to become a lawyer. I didn’t get into law school of course, and now I am really happy with the way my career has gone!! Isn’t it also funny how many people say, ” don’t get too attached to your students” ? I consider them my kids and from what I see, so do you. How can you not get attached??? This is a great blog challenge – it helps us go back in time and see how many things have changed since we first started! Wow – a lawyer, you too? Like you, I have not regretted my accident – decision once! And our students, yes, how can we not become attached? I am already thinking of a group of adults I teach at the local college. It is our last class this Monday and I hate the thought of saying goodbye to them! Thank you again for a great blog challenge. I loved writing for it! My students and I are so close. I treat them like my own kids. It’s already school holiday here in Indonesia, and they hate it! They keep asking me when the new class starts because they hate missing my class for too long. Thanks for this lovely letter. I love it a lot! Wishing you great teaching and learning moments with your students! You’ve got to read this letter! I really enjoyed reading this letter. So genuine! I feel like reading a letter that was sent to me. What a coincidence! I wanted to become a lawyer too, but I ‘ended up’ becoming a teacher instead. Not that I regreted it. I’m glad I took detour.